I was at the launch of a rathing exciting concept last weekend. Theory & Practice was established in Moscow and involves arranging lecture evenings and events aimed at injecting intellectual stimulation into society. They're expanding into other countries and last Saturday Theory & Practice Copenhagen launched. One speaker was invited, an artist, and he invited three others. A great evening that pulled a full house in on a Saturday night. ANYWAY... the first speaker was explaining the inspiration for his art and several works/artists who inspire him showed up on the screen. A number of them were bicycle-related. I'm probably the last bicycle blog to cover this subject, but hey. 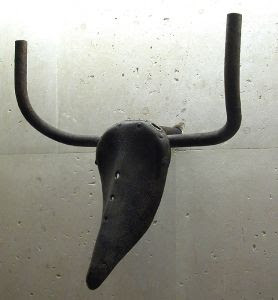 Above, the famous Picasso work, Tête de Taureau from 1947. 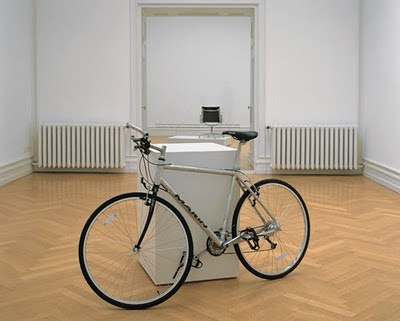 Then there was Simon Starling's work with the not-so handy title, "A Charles Eames ‘Aluminium Group’ chair remade using the metal from a ‘Marin Sausalito’ bicycle / A ‘Marin Sausalito’ bicycle remade using the metal from a Charles Eames ‘Aluminium Group’ chair" from 1997. 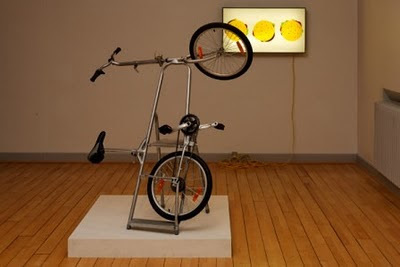 Here's the Danish artist Morten Steen Hebsgaard's work "Ladder Bike - Made in China/Remade in Denmark". 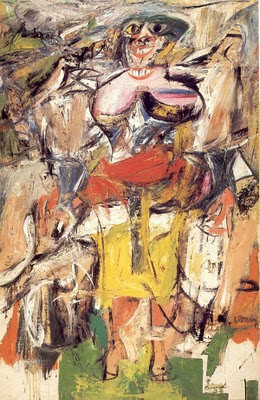 And finally, Willem de Kooning's "Woman and Bicycle" from 1952/53.